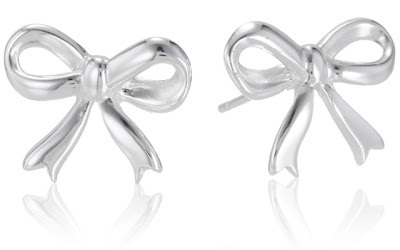 Daily Jewelry Deal: Sterling Silver Bow Earrings $15! These Sterling Silver Bow Post Earrings is currently selling for just $15.00 on Amazon.com! You will be saving 50% off the listed price of $30.00 with this jewelry deal. Also on sale is the Sterling Silver Bow Necklace, 18", which is currently selling for just $24.00 on Amazon.com! You will be saving 31% off the listed price of $35.00. These items are eligible for Free Shipping on Amazon with a qualified $25 purchase or an Amazon Prime membership.